Trojan will only drop ship batteries within the lower 48 states and Canada. Freight is calculated and based on volume purchased. Please contact us for a freight quote at 540-761-7799. 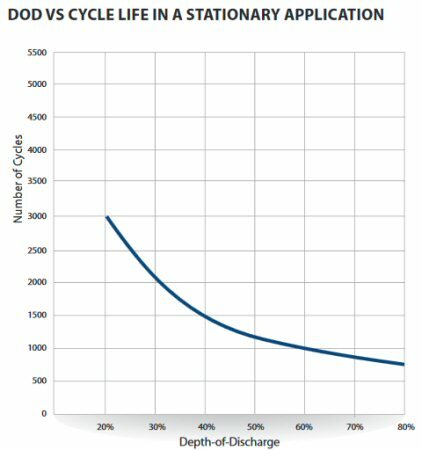 The T2 line of deep-cycle flooded batteries is the flagship of Trojan’s product portfolio. Engineered to provide rugged durability and outstanding performance, Trojan’s T2 lineup is perfectly suited for use in renewable energy systems where lowest life-cycle cost is the key consideration. An all around power house, the T2 line features Trojan’s historically-proven engineering with T2 Technology, an advanced battery technology for maximum sustained performance, longer life and increased total energy. Trojan combines a thicker internal grid with their robust Maxguard T2 separator and high density paste to create an exceptional battery that outperforms its competitors. Their advanced battery technology results in a longer battery life with lower maintenance costs, making it a great option for any renewable energy system. GC2 SSIG 06 290 265 AH 6V 10.375" 7.125" 11.625" 72 lbs. 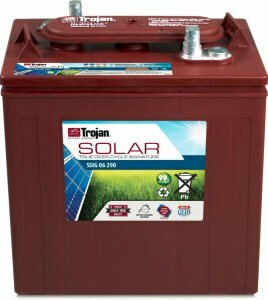 Click the button below to add the TROJAN SSIG 06 290 (T-145) SOLAR SIGNATURE FLOODED BATTERY to your wish list.